ASTM standards reflect industry-standard best practices in the United States and internationally, covering both product quality and safety. While most ASTM standards are voluntary, some are referenced by mandatory product regulations – including CPSIA. Which product categories are covered by ASTM standards? How do I know which ASTM standard apply to my product? How do I know if an ASTM standard is mandatory or voluntary? What is an ASTM standard? ASTM standards are issued by ASTM (American Society for Testing and Materials) International, one of the oldest international standards organizations in the world. ASTM International predates similar organizations like ISO (International Standard for Organization) and IEC (International Electrotechnical Commission). a. Test method: A defined procedure that produces a test result. b. Practice: A definitive set of instructions for performing one or more specific operations that do not produce a test result. c. Specification: A set of requirements to be met by a material, product, system or service. d. Classification: A systematic arrangement/division of materials, products, systems or services into groups based on similar characteristics such as origin, composition, properties or use. e. Guide: Information on a series of options that don’t include a specific recommended course of action. f. Terminology: A set of definitions of terms and explanations of symbols, abbreviations or acronyms. Test methods, practices, and specifications are most relevant when setting your product standards. Specifications describe specific requirements a product should meet based on industry standards. Test methods and practices explain how you should evaluate a product and with what equipment, rather than what requirements that product must meet. ASTM standards can help importers evaluate their product’s safety, function, performance, physical properties, and composition. The names of ASTM standard might have a number at the end preceded by a dash to indicate the year the standard was issued or updated. For example, ASTM F963 – 17 was issued in 2017 and replaced the preceding ASTM F963 – 16. Always reference the current standard when checking for requirements. ASTM standards cover a range of product categories, including household equipment and appliances, electronics, baby and toddler products, toys, kitchenware, furniture, building materials, jewelry, cleaning, and sanitation equipment, textiles, and swimming pools. Product-specific standards often fall under category D, E and F. And most packaging standards fall under category D.
There are several overlapping international standards issued by different organizations. ISTA (International Safe Transit Association) test procedures, for instance, are also popular in the packaging industry, while UL standards are popular in the electronics industry. It’s a good idea to check a few different standards organizations to identify those most common in your industry. ASTM standards, like other voluntary international standards, are copyrighted material. Therefore, posting the entire standard online for free violates U.S. federal law. 1. ASTM provides a brief abstract and scope of each published standard for free on their website. 2. You can sign up for ASTM’s free Standards Tracker emails for your industry, which list new and revised standards each week. 3. You can join ASTM as a participating member in the technical committees most relevant to your industry for only $75 annually. 4. A third-party inspection company or testing laboratory should also have knowledge of applicable standards for your product. 5. Trade associations and industry organizations are also a good resource. For example, the Juvenile Products Manufacturers Association provides a free list of relevant ASTM requirements for the juvenile product industry. 6. Government websites and documents, like the U.S. Consumer Product Safety Commission website and the National Institute of Standards and Technology’s (NIST) guide to furniture compliance. Are ASTM standards mandatory or voluntary? Compliance with ASTM standards is completely voluntary unless the standard is incorporated into law. ASTM International has no capacity of their own to evaluate or enforce compliance with their standards. But ASTM standards can be referenced or incorporated into law both on the federal and state level, making compliance mandatory. The most common example of this is the incorporation of ASTM F963 into the U.S. Consumer Product Safety Improvement Act (CPSIA). On the state level, California requires plastic bags labeled “compostable” to meet the ASTM D6400 Standard Specification for Compostable Plastics and pass third-party certification. The FDA also maintains a list of recognized consensus standards. Compliance with these also satisfies some specific requirements set by the Federal Food, Drug and Cosmetics Act. The FDA currently recognizes 381 ASTM standards for the medical device industry for instance. What’s the benefit of using an ASTM standard as a reference, if doing so is not mandatory? ASTM standards reflect industry-standard best practices. They can be particularly helpful to new importers working with a product for the first time. While importers are usually experts on their customers’ expectations, not all importers know the best QC methods for evaluating their products. Rather than starting from scratch and reinventing the wheel, you can rely on existing ASTM standards to evaluate your products. Using a clear, internationally recognized standard like ASTM can help you establish accountability with your supplier and eliminate pushback from your requirements. Foreign suppliers should have some working knowledge of ASTM standards and requirements. China’s national standards agency, SAC, signed a memorandum of understanding with ASTM International in 2004 to promote the use of ASTM standards in China. By 2013, 549 ASTM standards had been referenced in Chinese regulation. Using ASTM standards also makes it easier to remotely assess product compliance. If you instead choose to set arbitrary requirements, you’ll need to clearly outline your own testing standards and procedures for QC staff to accurately evaluate performance and report test results. In contrast, third-party inspection companies and labs require little guidance from the importer regarding ASTM requirements and methods. Lastly, demonstrating compliance with ASTM standards can help prove the safety and performance of your products to your customers. Although not mandatory, setting clear standards for your products and objectively assessing product compliance show that your business puts customer interests first. And by setting such a high standard, compliance with ASTM requirements could save you the trouble of a product recall or product safety issues later. Let’s take ASTM F963 as an example. How do I design my product to comply with this standard? 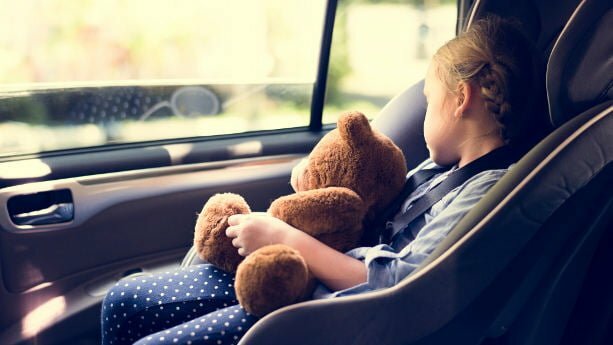 The Consumer Product Safety Improvement Act (CPSIA) mandates compliance with ASTM F963 for all products sold in the U.S. and intended for use by children 12 years of age or younger. The United States Consumer Product Safety Commission (CPSC) enforces CPSIA and ASTM F963 compliance. d. Have permanent tracking information affixed to the product and its packaging where practicable. Ensuring your product complies with ASTM 963 requirements starts from the very beginning of product ideation and design. ASTM 963 forbids the use of some materials and components in children’s products, such as lead paint and small parts. Munchkin recently recalled a centipede-shaped water toy for babies due to a choking hazard inherent in their design. The centipede was made of several small pieces linked together, which if become detached, released small beads that could pose a choking hazard. A safer design decision would have been to make the product out of one larger piece, rather than several detachable pieces, and not to use small beads at all in the product, whether they’re designed to be enclosed or not. After you’ve designed your product to meet ASTM standards, selecting the right supplier is key to ensuring ASTM compliance of finished products. Ask prospective suppliers for ASTM test reports from previous orders to demonstrate their capabilities and compliance. But remember previous compliance is not proof of future compliance. You should also test samples in a lab or verify the legitimacy of reports with the lab that issued the reports to ensure authenticity. Lastly, third-party inspection companies can help develop a QC checklist based on the ASTM standard, which lists relevant product requirements and testing procedures for your product. A QC checklist can be especially helpful for describing ASTM test methods and practices to ensure your supplier objectively and thoroughly tests your product. Suppliers and QC staff can then reference this single document for all your requirements during production and inspection, helping ensure the finished goods meet your expectations. Which ASTM F963 requirements can be verified during an on-site quality inspection? Which ASTM F963 requirements can only be verified by lab testing? Most importers rely on third-party inspections or lab testing to verify compliance with ASTM requirements. a. Any related legal requirements: If you need to test for compliance with a regulation, testing at an accredited laboratory is usually necessary. b. Any equipment needed to perform the test: Third-party inspectors usually can only bring handheld, portable equipment with them to the inspection site. c. Any training needed to perform the test: Lab testing equipment often requires specialized training and qualifications to operate. The CPSC requires third-party lab testing to verify compliance with most CPSIA requirements. But there are some general requirements and exceptions that you can verify through a pre-shipment product inspection at your supplier’s facility. Returning to the earlier F963 example, you can see a breakdown of some of the checkpoints related to the standard in the table below, as well as on the CPSC website. Checkpoint Requires testing at a CPSC-accepted lab? As you can see, you generally don’t need a professional lab to verify packaging and labeling requirements—these can be verified with an on-site inspection. But some checks, like verifying the presence of heavy metals in paints, require chemical composition or other professional testing in an accredited lab. Importers typically book inspections or testing after production is completed and before shipment. Those with certain requirements might take the added step of testing a pre-production sample or raw materials before production begins. Checking a product sample can help you verify your supplier’s capabilities, as well as catch any critical issues before production begins. But you might still need to test finished products. The CPSC allows the testing of pre-production samples to demonstrate CPSIA compliance of finished products only if the manufacturing process does not affect results. Remember ASTM requirements typically only cover one aspect of a product. ASTM F963 doesn’t cover product performance or quality outside of product safety, for instance. Therefore, most importers also supplement ASTM compliance checks with other general performance testing and product specification checks to evaluate product quality before shipment. 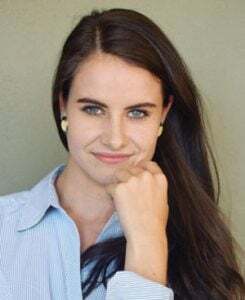 Maegan Burkhart is a Content Specialist at InTouch Manufacturing Services, a Western-owned, third-party QC firm headquartered in Shenzhen, China. InTouch helps importers improve their product quality and manufacturing experience by offering product inspections, factory audits and lab testing throughout Asia. 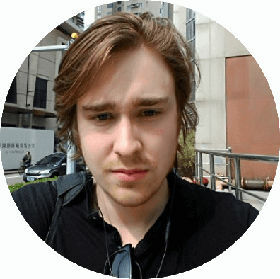 Co-founder of Chinaimportal.com and based in Greater China since 2011. 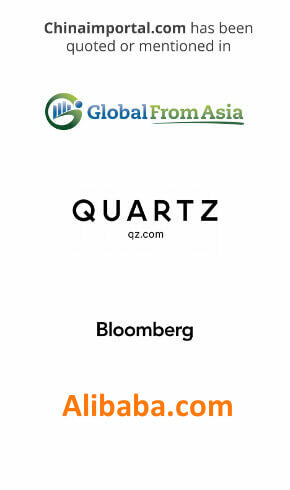 He has contributed to Bloomberg, Alibaba Insights, Globalsources, China Chief Executive, Quartz Magazine and more.